Fluctuating exchange rates can be a real headache when sending money abroad. This quick and easy factsheet contains essential information about the benefits of fixing the rate to reduce your currency risk. 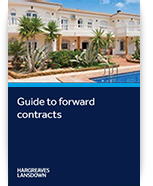 Forward contracts offer shelter should rates move against you although it removes the potential to benefit from any favourable movements. The contents of the report should only be used for reference and do not constitute personal advice to buy or sell any of the currencies mentioned.